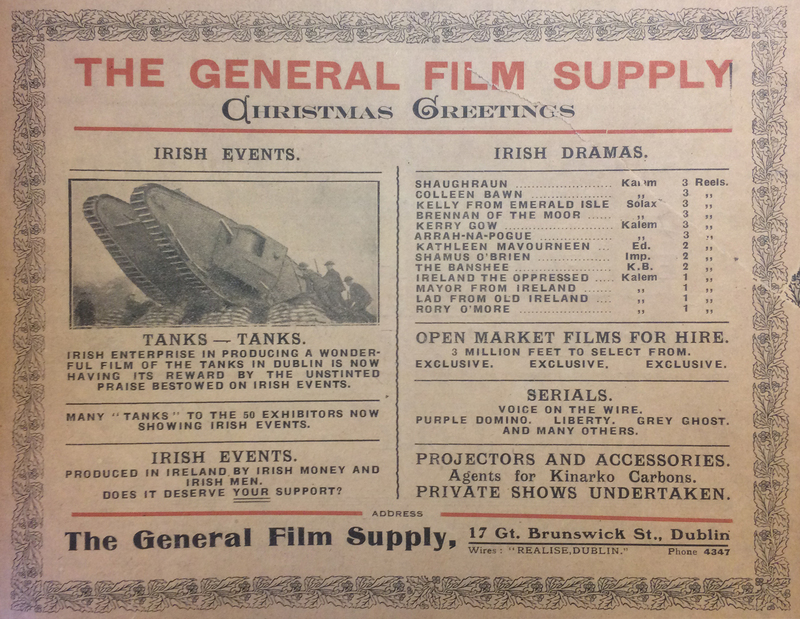 Denis Condon’s blog Early Irish Cinema looks back at the early development of cinema in Ireland on the anniversaries of those developments and offers information on what cinemagoers could have seen in Irish cinemas a century ago. 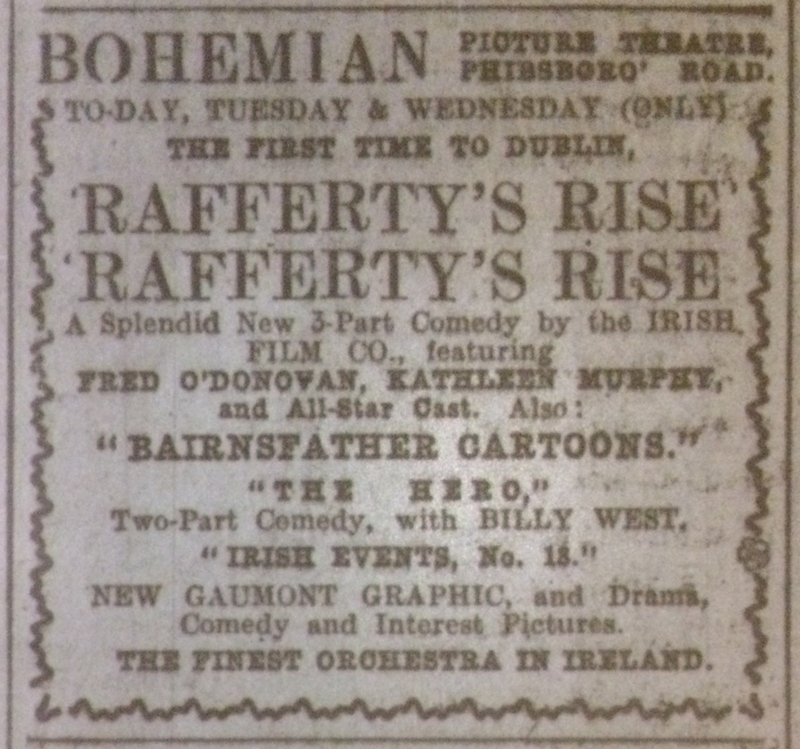 Here Denis explores the particular case of the 1917 lost comedy Rafferty’s Rise. 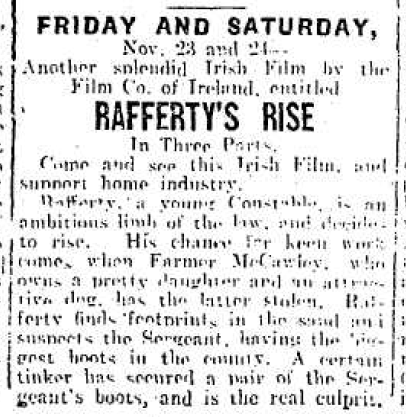 On 12 November 1917, the Film Company of Ireland (FCOI) finally premiered Rafferty’s Rise, its first completed production of the year. In many ways this is a minor film. 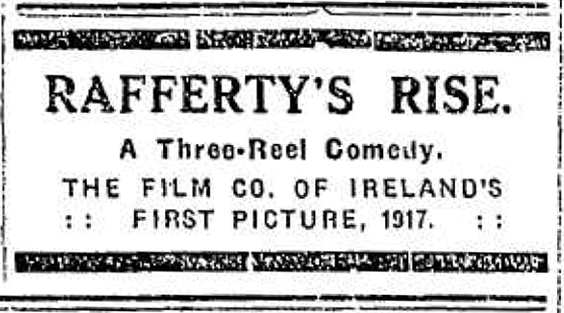 Like all of FCOI’s 1916 productions, this three-reel (approx. 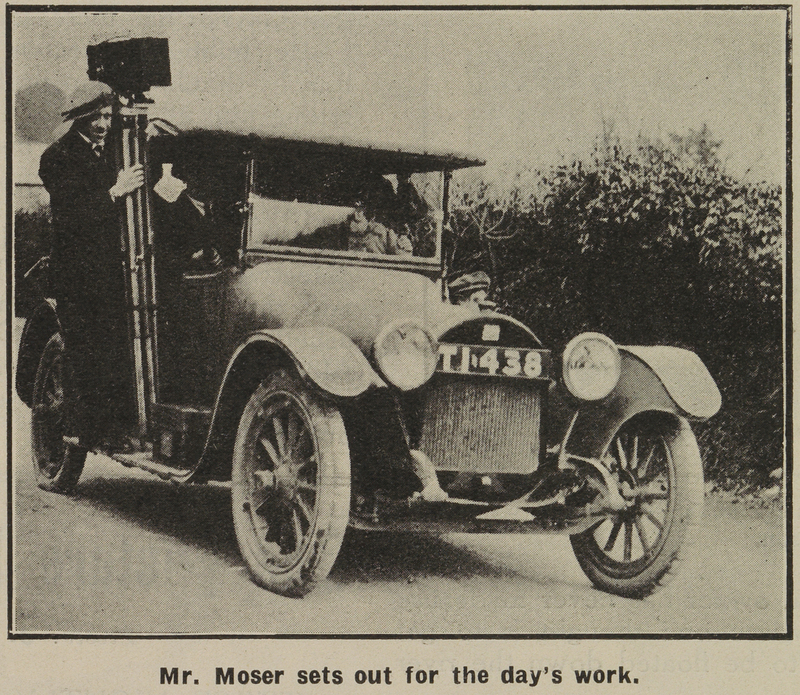 50 minute) comedy is now lost, and it appears to have been little seen in 1917, having had a very limited release. 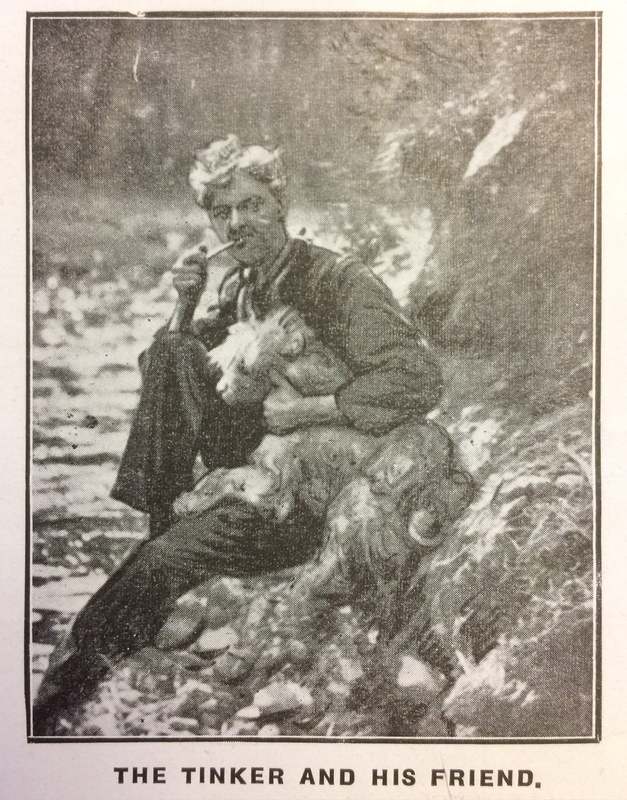 It was overshadowed at the time by the organizational difficulties experienced by FCOI in 1917and by the fact that the company put its apparently dwindling resources into promoting the much more ambitious Knocknagow. 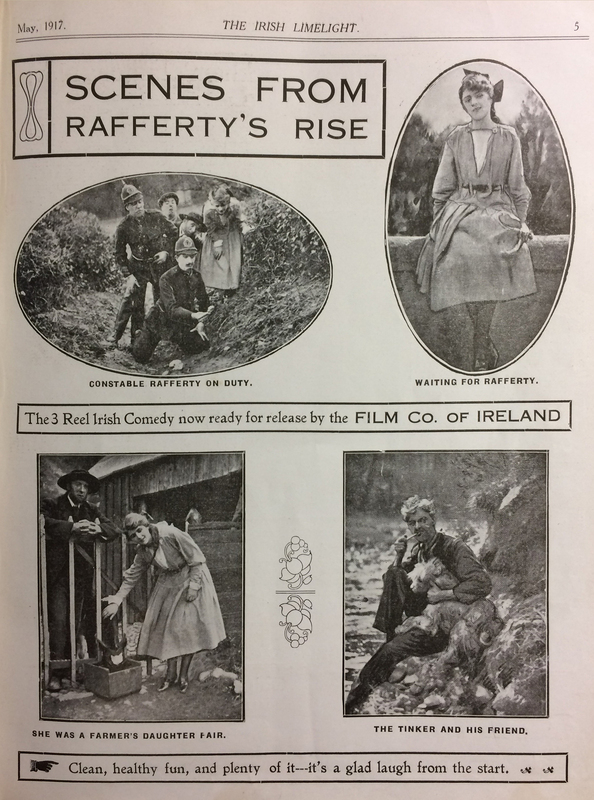 Nevertheless, it is a film by Ireland’s most important fiction-film production company of the silent period and is the first film directed by Abbey Theatre actor-director Fred O’Donovan. R.A.O’F. 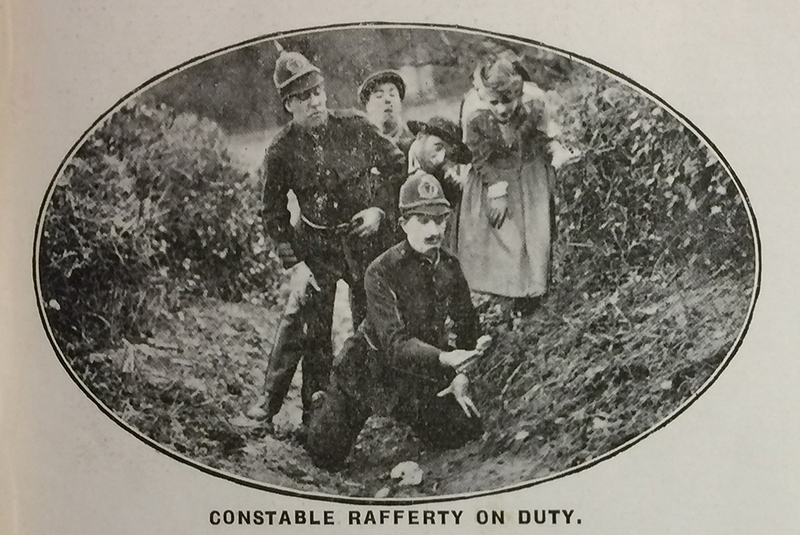 “Rafferty’s Rise: Review of an Irish Comedy by Irish Players.” Irish LimelightNov. 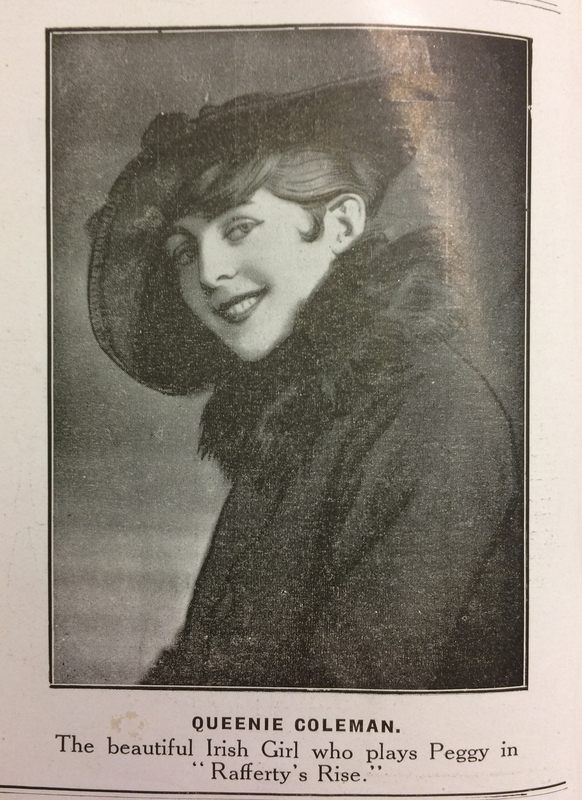 1917: 6.